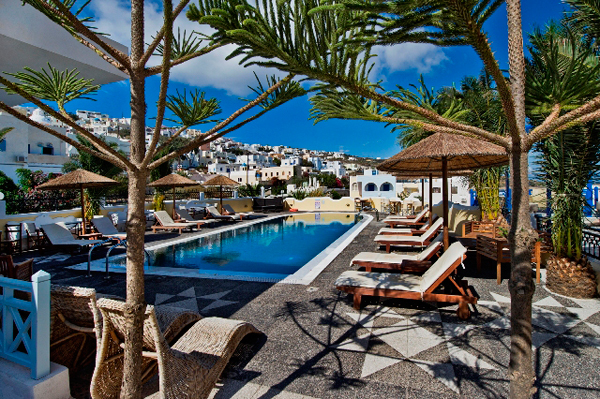 Santorini Hotel Villa Rena is situated 350 m from the center of Fira, the capital of Santorini, just a short walking distance from shops, tourist offices, restaurants, bars, and the main bus terminal where one can catch a bus to other parts of island. 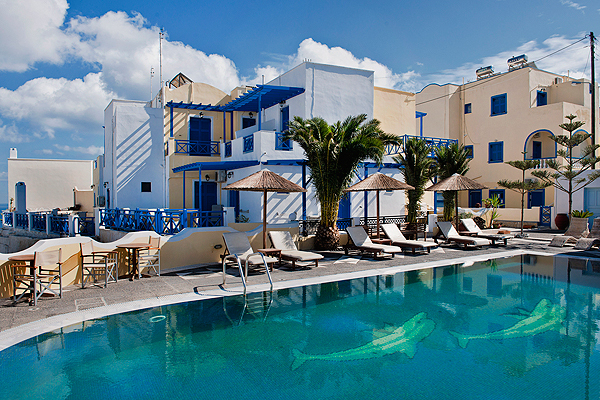 Ideal for Friends & Couples At Villa Rena our guests will experience greek hospitality at its' best. 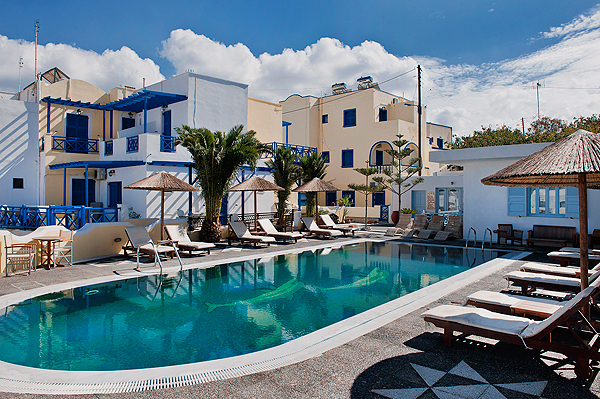 One can find a friendly and welcoming atmosphere, as well as various facilities. 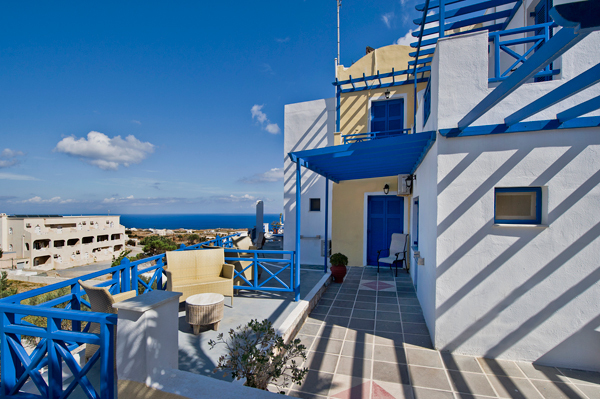 There is a swimming pool with views to the bay, parking, central safe box & reception with a sitting area. 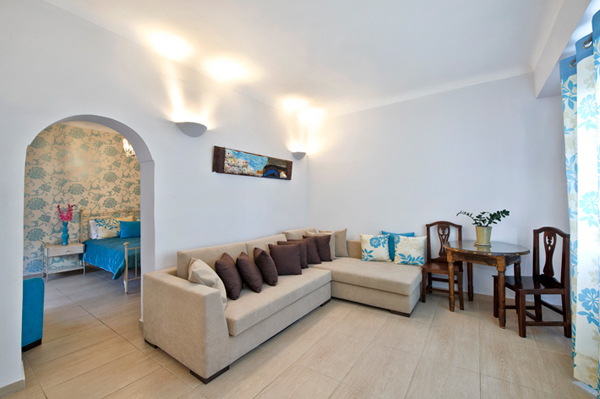 Villa Rena also offers a breakfast room with a small bar serving snacks, sandwiches, hot & cold beverages and ice creams. 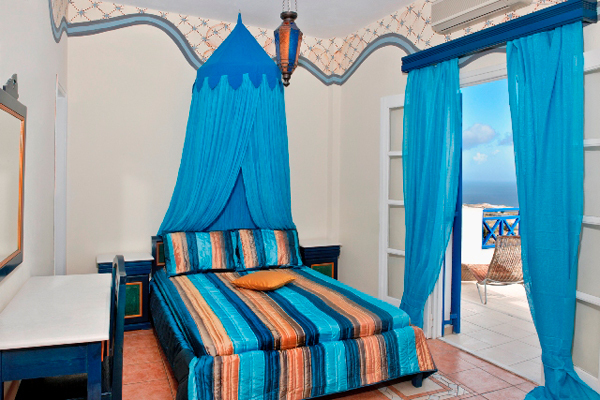 All rooms are equipped with A/C, TV, fridge, private bathroom and private balcony. Villa Rena also has a private mini bus for collection from the port or airport on your arrival to Santorini island - let us know your travel plans.